Dr Pollock is one of the few Consulting Actuaries in the UK who specialises in the provision of expert witness opinions on the actuarial aspects of a range of legal matters. Established in 1992, the company has taken instructions and prepared reports for several hundred firms of solicitors as well as accountants, financial advisers and life insurance companies. Since 2002 Dr Pollock has been a member of the influential Ogden Working Party which prepares the Ogden Tables of multipliers used by solicitors in the quantification of damages. He has appeared in Courts and Tribunals across the UK in a range of matters on which he has prepared opinions, with pension loss, loss of support and life expectancy calculations being a particular specialty. In any year, Dr Pollock personally produces or supervises the production of several hundred expert witness reports. These are specifically tailored to the jurisdiction involved. Born in 1962 Dr Pollock has lectured and examined in both actuarial mathematics and statistics, both at University and for the Institute and Faculty of Actuaries. He has served as the external examiner for postgraduate actuarial science degree courses at Heriot-Watt University. Prior to becoming involved in expert witness projects Dr Pollock had a background in institutional investment management, in London and Edinburgh, and was a member of the FT Actuaries Index Committee. Dr Pollock qualified as a Fellow of the Institute and Faculty of Actuaries in 1986 and has been involved in providing expert actuarial opinions on a range of legal matters for around 25 years. He has been the representative of the Institute and Faculty of Actuaries on the ‘Ogden Working Party’ since the publication of the 4th edition of the Actuarial Tables with explanatory notes for use in Personal Injury and Fatal Accident Cases in 2000. He was involved in drafting the Actuarial Professional Standard X3: The Actuary as an Expert in Legal Proceedings. 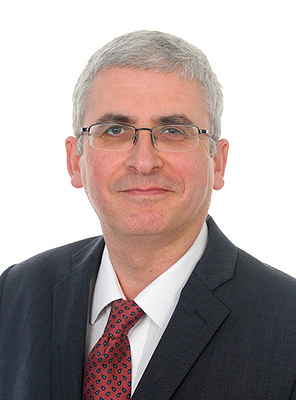 In 2015 Dr Pollock was appointed by the Ministry of Justice to serve on an expert panel to provide advice to the Lord Chancellor and his counterparts in the devolved administrations on matters relating to the setting of the discount rate for use in cases of personal injury and fatal accident.